I've received quite a bit of interest from readers in keeping Ugly Overload going by assembling a team of bloggers. I've grown to like the idea. I'm going to give it a shot. So, watch for new posts rolling out in the next few days as I get invites out to the new team members and get us all on the same page. I'm really looking forward to this new era of UgO. I expect a few rough patches, but that's okay. I'm just glad it doesn't have to end. It's likely that the blog will improve with fresh minds and fresh content. I'm really looking forward to it. Also, thank you all for the kind comments. It's been great to read them. I've had a few folks express interest in joining the Ugly Overload team to keep the blog rolling with fresh new content. I'm strongly considering the idea. I'm thinking of a group of bloggers who write whenever the fit takes them, nothing formal, no official commitment, just a few basic guidelines. If you're interested, please email me at ragingwombat at gmail dot com, and let's see if we can put something together. Worst comes to worst, I'll just leave the blog in place as is. Thanks for all of your kind and thoughtful comments. I've actually gotten verklempt (please don't tell the neighborhood bully). It's with a conflicted heart that I write this post. I've been dreading it for some time (hence the lack of activity for the past week or so). After four and a half years, I've decided to close down Ugly Overload. This blog has brought me a lot of fulfillment. In the end, though, I need to let it go to pursue my true passion. Daily blogging takes its toll, and I've found that my novel writing has suffered for it. If I'm to become a full time novelist, then I need to set this blog aside. It hurts, and it isn't a pleasant decision, but it's the right one. Ugly Overload has accomplished far more than I ever thought it would. It's been featured on CNN, Southwest Airline's in-flight magazine, BoingBoing, Mental Floss, I Am Bored, and national radio. I've been a guest blogger for PBS Nature, and I've made a lot of contacts in the nature blogging world. So many of you have featured UgO on your own blogs and sites, and I'm honored. Most of all, it's been you readers that have made this blog so much fun. Ugly animals and infotainment only get you so far if you don't have people showing up to read and comment. It's you readers that I'll miss the most. I plan on doing a few more posts to clear out some of my inbox. I've got hundreds of photos set aside for use and oodles of unsifted submissions. I can't possible get to them all, but I'll get to some. I've had big plans for this blog, including complete site overhauls, calendars, merchandising, and all that. In the end, I just don't have enough time to do it all justice, not and become the novelist I want to be. So what will happen to Ugly Overload? What about all this free content, with more than 1,600 posts? I've debated that for some time. I've thought of passing the reins on to someone else--all you readers who submit are already co-producers. In the end I imagine I'll just leave it in place as a repository of ugly animals. It's actually quite a resource and a collaborative creation that I'm very proud of. Thanks for all the great memories. I'll miss posting here, but I've already had a taste of what it's like to be able to focus on my writing, and it's wonderful. 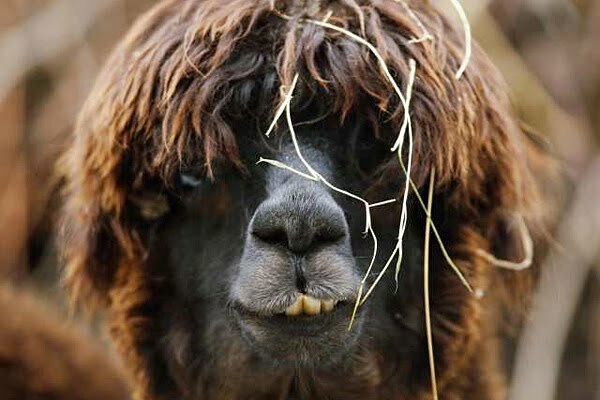 A school boosters club in St. Charles, Il., will be selling alpaca manure to raise funds. In place of baked goods or a barbecue, their product is 30 lbs bags of alpaca pellets for use in your garden. It really does make for great fertilizer, and given its size and texture, it's easy to work with. I applaud ingenuity like this. Maybe you can think of similar sales for you local charitable fundraisers. How about some naked mole-rat droppings? Mangy Chupacabra or Sasquatch fur? Or cicada molts? So many possibilities. Behold a few specimens from the glorious microbat genus of Rhinolophus (leafnose, in Latin). These bats are but a sample of the 69 species that comprise the genus of horseshoe bats. 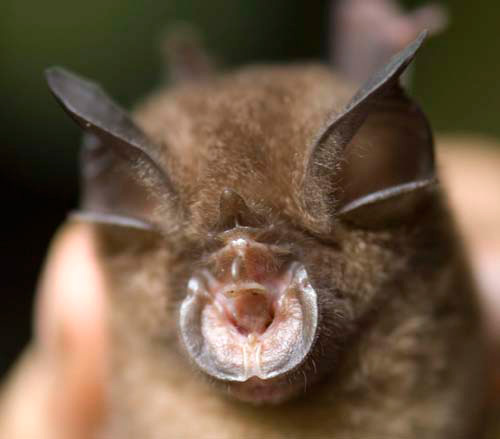 To your left you'll see the largest of the group, the greater horseshoe bat (Rhinolophus ferrumequinum). 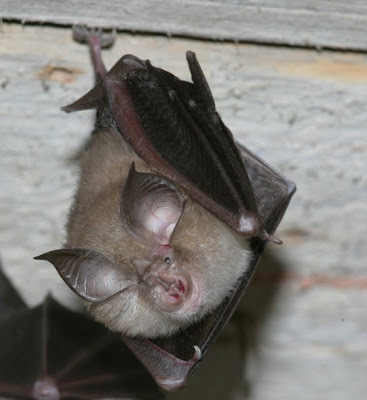 The next two photos are of the lesser horseshoe bat. 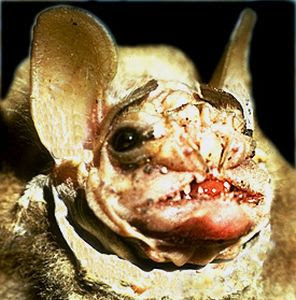 The last is the real prize: the rufous horsehoe bat. I've never liked calling various species 'lesser' or 'greater'. I know the designation usually pertains to size, but still, it bugs me. Perhaps my dislike stems from my deep fear that one day a millennium from now, archeologists will uncover my bones, run a DNA test, and classify me as a 'lesser human.' In my case, the classification wouldn't pertain to my size, but to my quality. 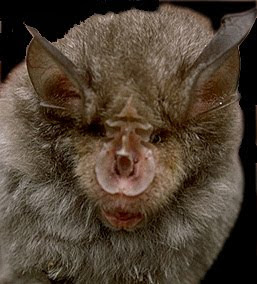 Thanks for the Rhinolophus bats, Jelo. The night just got a bit squeakier.